Four months since the wonderful MWF Spring Conference in Cardiff, I have now settled into my role as President and have a full list of great events and updates to pass on to our members. The first thing I would urge you to do is to join Twitter, it takes five minutes to set up and will give you daily updates on my visits and talks representing MWF as well as keeping you updated on MWF matters. It will make you part of the wider female medical network both nationally and internationally. There are thousands of us conversing and supporting each other on all topics from leadership to mentoring. Many are Past Presidents of MWF, others are juniors just beginning their careers in medicine, and all are linked up to the very active Central Office team. Please make this the time you decide to learn something new, I certainly may never have started if Olwen Williams, our MWF Vice President, had not persuaded me! In May I also managed to fit in a talk to primary care doctors on Women and Mental Health. Being a psychiatrist I was keen to ensure the topic of mental health remains on the agenda for MWF throughout my two years as president. Taking over this role at the time of an independent review of the gender pay gap in medicine, led by Dame Jane Dacre’s working group, has been an opportunity to be present at the meetings and represent MWF on national issues. I am grateful to Sally Davies, MWF Past President, for continuing the good work for MWF on this committee. We look forward to having Dame Jane speak at our November Conference and provide a look into the progress of the review. The Conference owes a lot to Neena Modi, our President-Elect, as she was energetic and goal-directed in her recruitment of many of the high profile speakers. We hope you will register to join us for the unmissable experience. Our regular Officers’ meetings at the MWF offices have been busy with a significant amount of time spent discussing three things close to my heart: The need to increase membership, the need to fundraise and raise our profile and the need to involve male colleagues as affiliate members in order not to be perceived as excluding others in our wish to remain committed to our original aims. We feel we have come up with a variety of promising changes to address these priorities and these will be discussed at Council in November. 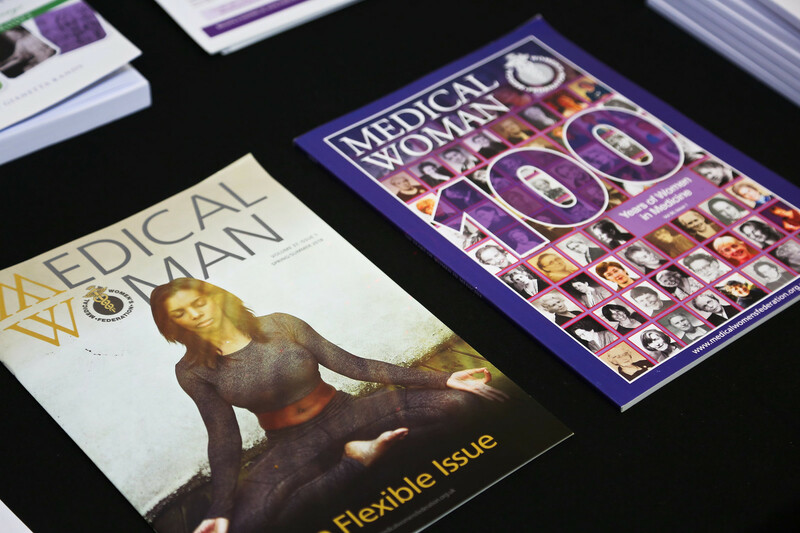 In July we attended the NHS70 Awards for Women in Leadership at Senate House, it was a special afternoon and we met several new members there. Throughout the last four months since taking over the role of President I have been on many radio and tv programmes and have been interviewed by many newspapers in my role as spokesperson on behavioural addictions for the Royal College of Psychiatrists. At every interview and indeed at every lecture national and international, I have made it clear to all that my MWF role was a valued and special one, this often led to topics on women being discussed and questions asked. I would urge you all to make sure you include MWF in all your talks. Let’s wear our badges at every meeting! I look forward to meeting many new members and seeing old ones at our November dinner and Conference. I hope to see all our members making special efforts to support our organisation over the next year. We are welcoming a team of 20 people to run the Winter 10km race on February 3rd 2019 in aid of MWF and look forward to using the funds we raise, to make MWF more able to support young female doctors in all their needs. Details on how you can sponsor us will be circulated very shortly!